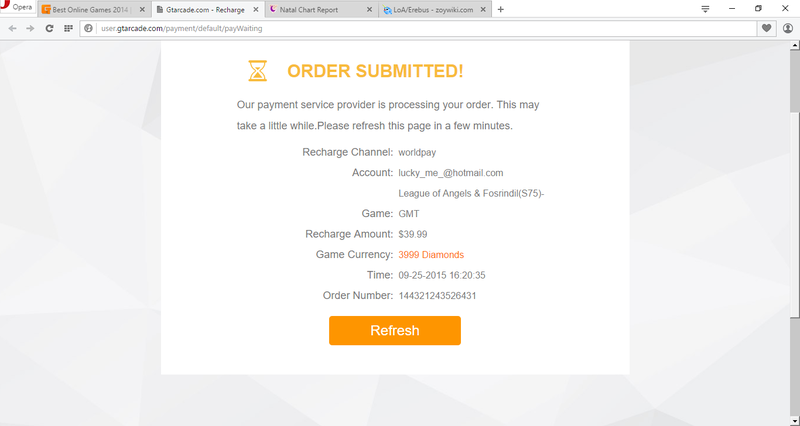 North America Forum»Forum ›League of Angels ›Support › Recharge not happening?? I can\'t send a ticket to complain and get my problem fixed so can someone help me about what I need to do. First off, We need a IGN to make an official report on this. Secondly, It says Order Sumbmitted! And from what I\'ve heard, that means the order did not actually go through and got turned down. Maybe try another method of peyment. Thanks! Okie...no problem. Just let us know if you have any more problems! 2019-4-22 00:51 GMT+8 , Processed in 0.072897 second(s), 40 queries .